It is a GUI component used to hold canvas at runtime. By default every module holds a window. 1) window1 -- It is window available in application. 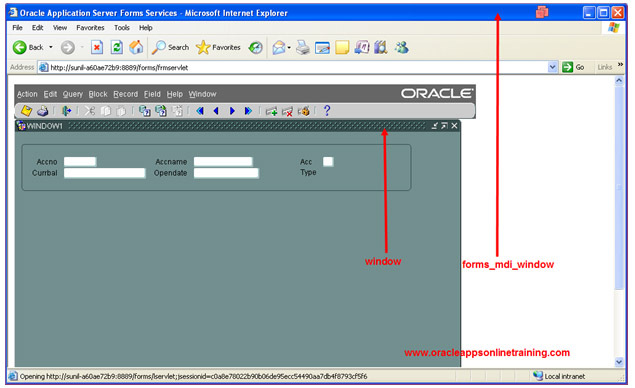 2) forms_mdi_window -- window available at runtime to hold the application window. set_window_property -- is the built_in used to change properties of the window at runtime. 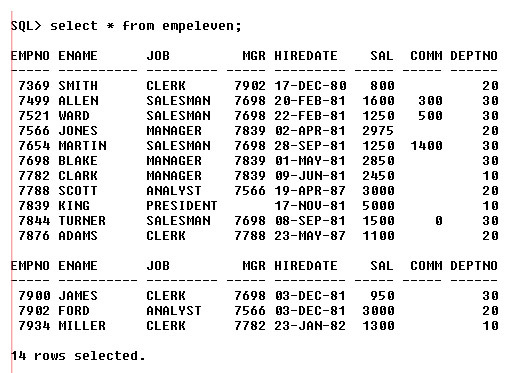 Create table EMPELEVEN same as standard EMP table. Create a new form based on empeleven by using data block and layout wizard. "Window stype" property defines it. It is a user defined window. 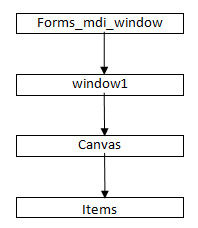 Will be under the control of run-time window ( forms_mdi_window ). User defined window. Can be placed outside the run-time window. By default Modal property for the window is NO. User can work with more than one window at a time. Allows to open one or more windows at once. We should respond to the current window. We cannot work with other window, without responding to the current window.